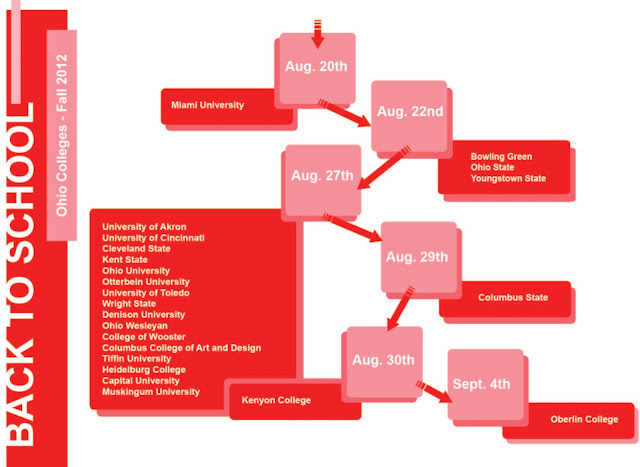 DeLena Ciamacco: The Real Estate Expert: Back to School 2012: College Start Dates! Back to school for area colleges and universities; as Central Ohioans, we know just how crazy this time of year can be! Remember the traffic down around OSU's campus during move in week? In an effort to help you better get around (and hopefully moving into your new home!) here is a list of some of the most popular colleges in the state, and when they'll be returning.